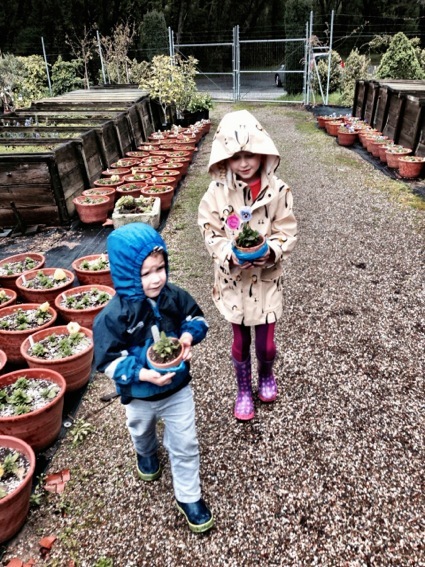 There were just enough breaks between the cloudbursts — and enough indoor entertainment — for the annual Spring Fling at Filoli in Woodside yesterday to be usual family-pleasing event it always is. After all, what’s better than stomping through puddles in galoshes? Sterling Johnson, the Bubblesmith, entertained with a steady production of gigantic bubbles, all the better to pop, along with putting kids one-by- one into the middle of a bubble. The potting shed was a good place to dodge the raindrops. Kids were given a terra-cotta pot to decorate. 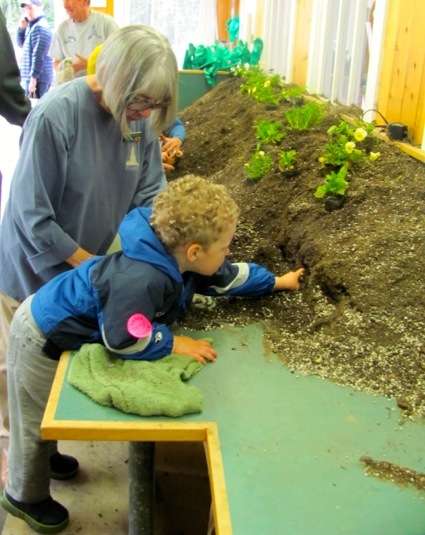 They then proceeded to the shed where docents were on hand to help them plant some pansies. Indoor shows included Andy Z and the Queen Bee Dancers, puppetry by Randall Metz, and a magic show performed by Heather Rogers. There was also storytelling and face painting. And, of course, the beautiful gardens to wander through, filled with tulips. A big bouquet of thanks for writing this article and sharing Spring Fling and Filoli with our community. The photos are so much fun.